Oxebridge Quality Resources was started by Christopher Paris in 1998. Since that time, Oxebridge has grown in both size and scope of services, serving larger organizations and utilizing some of the best minds in ISO 9001 implementation and consulting. ISO 9001 consultants should do the implementation work themselves, and not require the client to do it. In the beginning, there was no “Rapid ISO” implementation. As a matter of mere practicality and adherence to the three rules above, the first Oxebridge implementations typically took only 45 to 90 days. Simply put, Mr. Paris didn’t know any better than to provide the services in a condensed time frame. The program was later renamed “Rapid ISO 9001 Implementation” when a registration auditor remarked about the incredible speed, and coined the phrase. 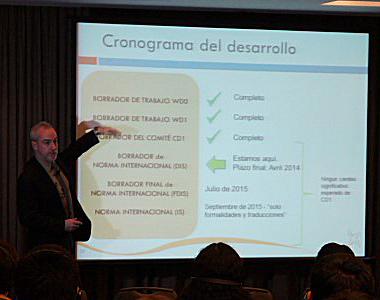 As new employees were added to Oxebridge, it became necessary to formalize the implementation programs. This allowed the company to further streamline the programs and, in the case of ISO 9001, reduce typical time frames to 30 – 40 days. This implementation has still not been surpassed by any other consultancy or implementation company, except ones that use pre-printed “boilerplate” documents, which typically fail audit scrutiny. As Oxebridge grew, it’s client base became more diverse. The company focused on the in-house skills it held, rather than expanding into industries where it lacked experience. As a result, Oxebridge focused on aerospace and AS9100, and never pursued automotive or telecommunications. By 2007, 80% of the company’s clients were in aerospace, with many of the new “private space” companies as part of the portfolio. Oxebridge has implemented AS91xx standards for major aerospace companies and airlines, and through a combination of AS9100 implementation and bid proposal assistance, Oxebridge has assisted dozens of small companies in obtaining NASA and aerospace prime contracts, such as for Honeywell, Raytheon, Rolls Royce, Lockheed, Sikorsky and Boeing. 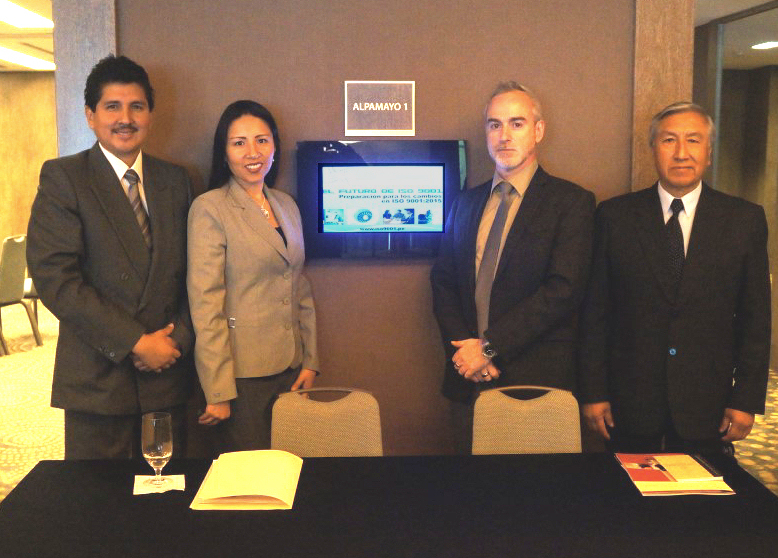 In 2013, the company opened its first international office, in Lima Peru. From this office, Oxebridge is beginning to manage its South and Central America operations, focusing on ISO 9001 for manufacturing, food production, textiles, services and mining. Oxebridge has always felt that the ISO 9001 world needed an injection of humor, so it helps lighten an admittedly dull discipline by offering free satire documents, such as the famous Eyesore 9000 and DumbAS 9100 documents, as well as lighthearted speaking engagements for corporate events. In the coming year. 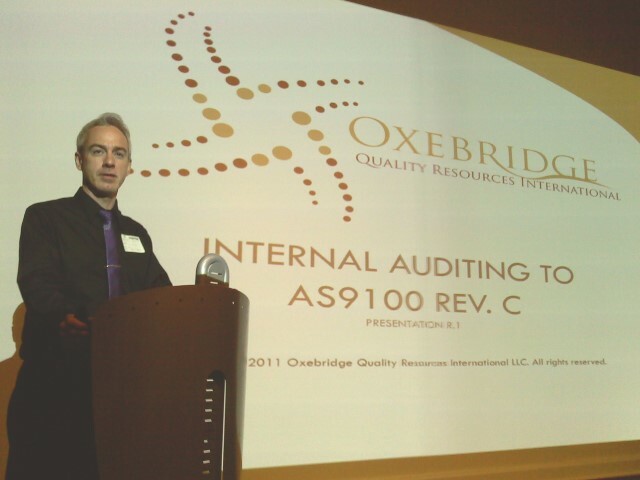 Oxebridge will be enhancing its service US-based offerings by adding OHSAS 18001, ISO 27001 and CMMI for Services. Oxebridge hires no sales staff. Instead, telephones are answered directly by Implementation Specialists who can answer questions directly, and who are not under any commission. Furthermore, the success of Oxebridge means it does not need to employ typical sales tactics, such as mailing, email distribution, spamming, faxing or cold calling. New clients come to us, typically through referrals or web visits, and then we refer them to previous clients to verify our claims. In short, our customers are our best selling point.